Marvel Comics Universe & June 2019 Solicitations Spoilers: Jim Lee’s Iconic Uncanny X-Men & X-Men Runs Collected In Oversized HC! 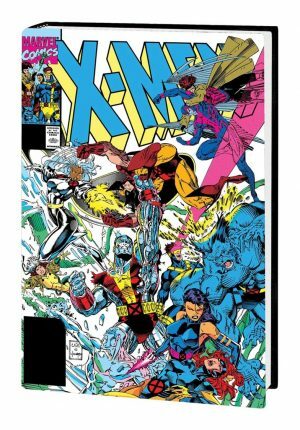 Jim Lee’s Iconic Uncanny X-Men & X-Men Runs Collected In Oversized HC! Solicitation and a cover below. Superstar artist Jim Lee’s work has never looked better — or been bigger — than in this monster-size volume! These are the tales that cemented Jim Lee as an X-Men legend, the best of the best of his tenure on the title. Relive the staggering story that saw Psylocke transformed and the iconic issue that united Wolverine, Captain America and a young Black Widow — back in 1941! Elsewhere, Rogue, Magneto and Nick Fury must free the Savage Land from the grip of evil! And when the X-Men are transported to the Shi’ar Empire, they find themselves reunited with their mentor, Professor X — but a cosmic conspiracy lurks in the shadows! Finally, a new era begins for the revitalized X-Men — but can they survive a final showdown against their oldest foe? Collecting UNCANNY X-MEN (1981) #256-258, #268-269 and #274-277 and X-MEN (1991) #1-3.